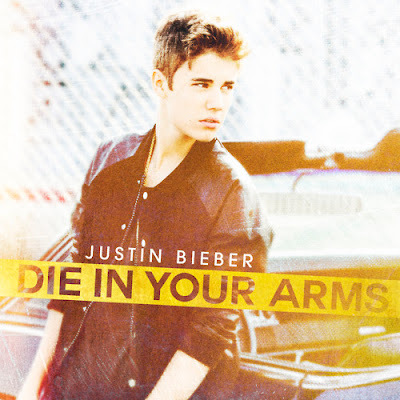 Justin Bieber has released a song called "Die In Your Arms", in order to redirect attention to the music in the light of the recent scandal. As we know, was recently accused Bieby assault after an altercation that included him and his girlfriend, Selena Gomez, and paparazzi over the weekend. The Los Angeles police are seeking witnesses to clarify the claims of a photographer who said Bieber "physically mistreated him," TMZ reported. The new single, delivered Tuesday morning, is Bieber's new album "Believe". The singer is preparing for a tour that kicks off in Glendale, Arizona in September to promote the album. Bieber lives in Calabasas (city where the incident occurred), in California, where he bought a house for $ 6.5 million, according to the Los Angeles Times. The house is complete with a cinema, library, bar, cellar, guest house and pool. Justin has since chosen to travel to Norway presumably not to continue having trouble with the police in the United States. That is, running away. "Oslo is the stop, we go to a secret concert stage in Norway," put in his Twitter account singer Justin Bieber.